Villages of Addison apartment development features new millwork, cabinetry, and granite countertops for kitchen and bathrooms in 264 apartment units by Bonier Cabinetry and Countertop Restoration Contracting. 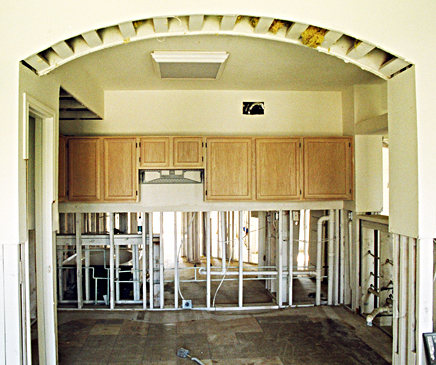 Bonier executed an extensive remodeling at The Villages of Addison Apartments. 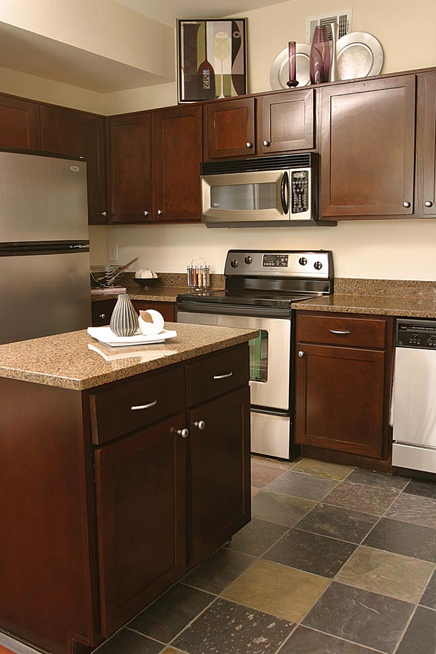 Included were cabinetry, millwork and finishing of cabinets, counters and detail framing for 264 units. 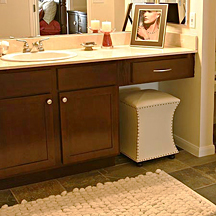 Cabinets featured nickel knobs on a cherrywood finish complemented by solid granite kitchen and bath countertops. BEFORE: Removed mold-infested cabinet counters, treated, and rebuilt. Removed upper cabinet doors and white-washed oak finish on cabinets. AFTER: Upscale professional styling features refinished and restained cabinets and doors to a rich cherry wood finish. Doors feature concealed compact hinges and brushed nickel knobs and handles. Quality solid granite countertops were added to reinforce the update's appeal of the multi-family residences.